The Midea Water Purifier has an inner water tank cover which is designed with an airtight sealing ring that ensures protection from dust and insects. The outer tank cover adds further protection from outside contamination. 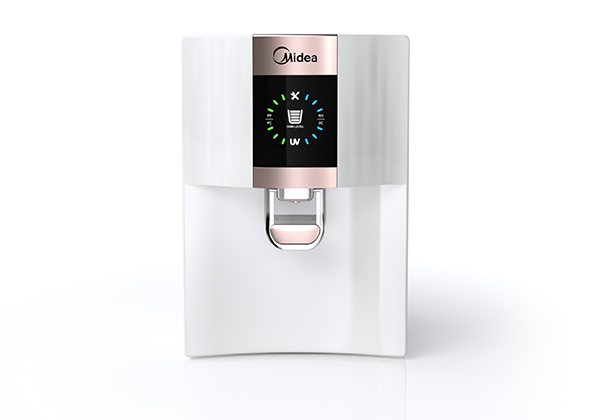 With wall-mounted and table-top options, the Midea water purifiers are convenient to install, and fit just perfectly anywhere. The Water Purifier has the slim and stylish design, giving the most premium feel of the product. Midea’s patented CCL UV lamp, located just before the faucet, kills up to 99.99% bacteria when water passes through it. This ensures that the water you drink is safe for consumption.